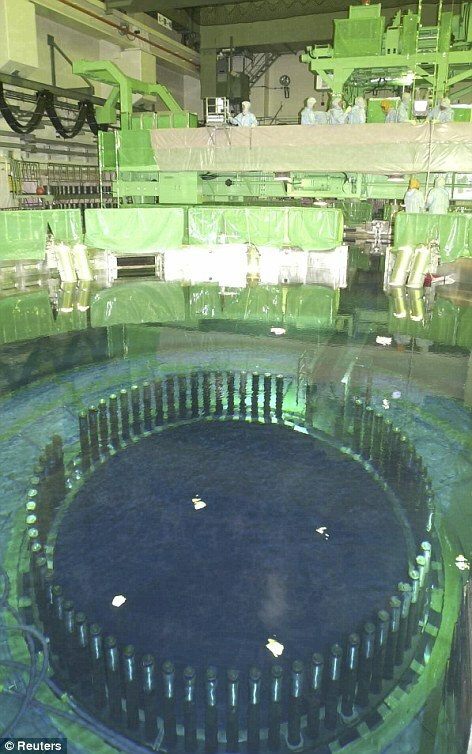 1.20pm Japan expects to restore power to reactors 1, 2, 5 and 6 today, the Atomic Agency says. 12.29pm The toll from the twin disasters has risen again. The latest figures from the National Police Agency show 7197 people have died and 10,905 are missing. 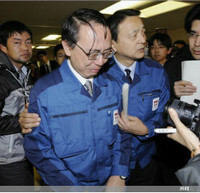 Some of the missing may have been out of the region at the time of the disaster. 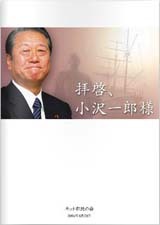 In addition, the massive power of the tsunami likely sucked many people out to sea, and, if the 2004 Indian Ocean tsunami is any guide, most of those bodies will not be found. 12.22pm The military has found a survivor from Japan's massive earthquake and tsunami eight days after the twin disasters, NHK reports. It said the man, described as relatively young, was rescued today from a wrecked house in Kesennuma, Miyagi prefecture, and was in a stable physical condition, but in a state of shock and unable to speak. 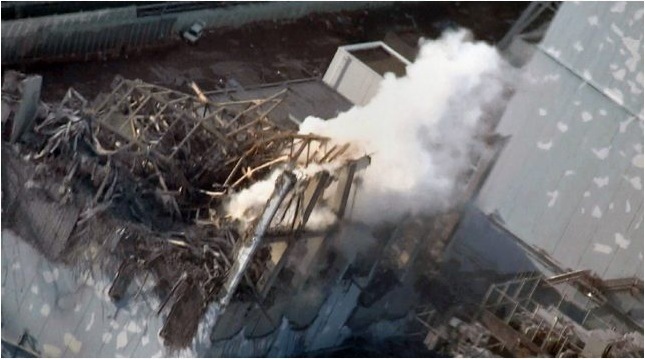 Japan's Nuclear and Industrial Safety Agency admitted that the disaster was a level 5, which is classified as a crisis causing 'several radiation deaths' by the UN International Atomic Energy. Chief Cabinet Secretary Yukio Edano said: 'The unprecedented scale of the earthquake and tsunami that struck Japan, frankly speaking, were among many things that happened that had not been anticipated under our disaster management contingency plans. Nuclear experts have been saying for days that Japan was underplaying the crisis' severity. 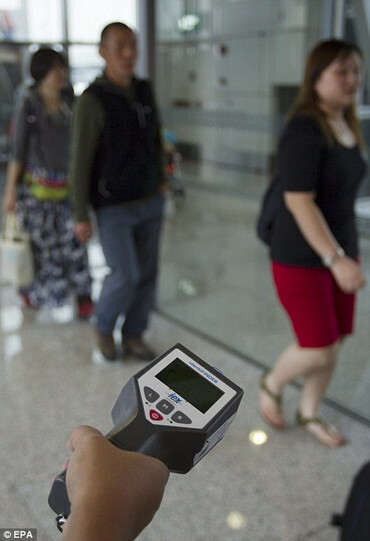 A UN official said the radiation reaching America is 'about a billion times' beneath health-threatening levels. And they today admitted that burying reactors under sand and concrete - the solution adopted in Chernobyl - may be the only option to stop a catastrophic radiation release. 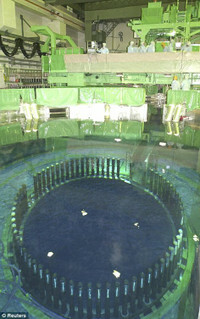 'It is not impossible to encase the reactors in concrete. But our priority right now is to try and cool them down first,' an official from the plant operator, Tokyo Electric Power Co, told a news conference. 'It's just not that easy,' Murray Jennex, a professor at San Diego State University in California, said when asked about the so-called Chernobyl option for dealing with damaged reactors, named after the Ukrainian nuclear plant that exploded in 1986. 'They (reactors) are kind of like a coffee maker. If you leave it on the heat, they boil dry and then they crack,' he said. And Yukiya Amano, the head of the U.N.'s International Atomic Energy Agency said workers were in a 'race against the clock' to cool the reactor. There was a potential breakthrough when engineers succeeded in connecting a power line to Reactor 2. This should enable them to restore electricity to the cooling pumps needed to prevent meltdown. 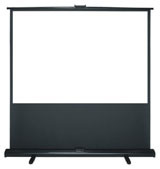 But it is not certain the system will work after suffering extensive damage. As the crisis entered its eighth day, the Japanese government was facing growing international condemnation for its handling of the world's second worst nuclear disaster since Chernobyl and for the lack of information it is giving experts and the public. Officials have declared a 12-mile evacuation zone around the plant on the north eastern coast. Another 140,000 people living within 18 miles have been told not to leave their homes. 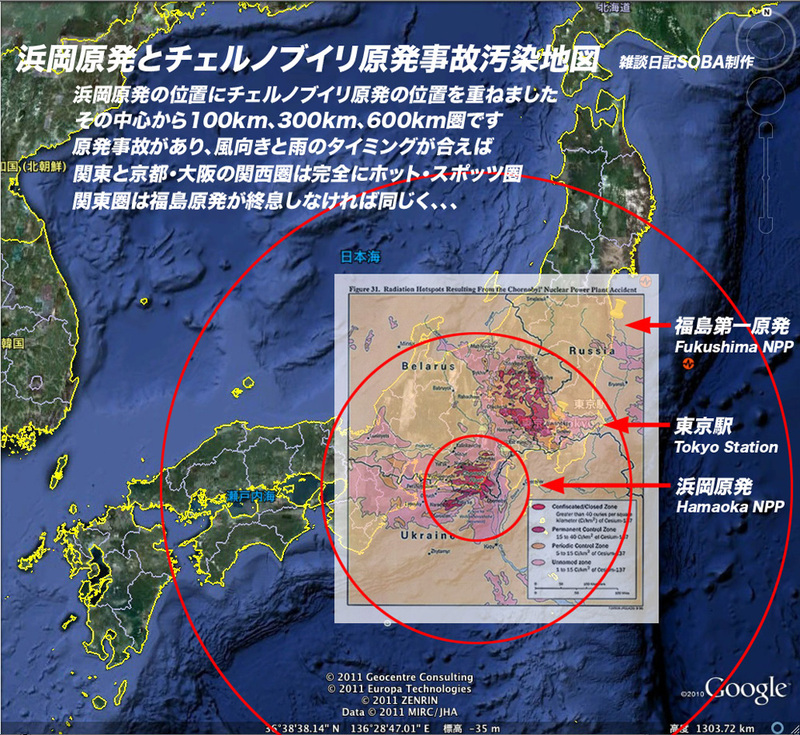 But Britain, which is pressing Japan to be more open about the disaster, has advised citizens to give the area a 30-mile berth and to quit Tokyo nearly 150 miles to the south. 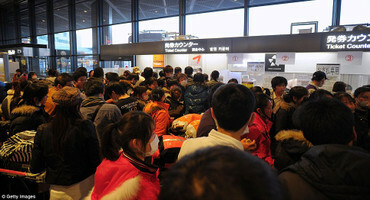 Yesterday thousands headed to Tokyo's airport to leave the country for whichever destination they could find. 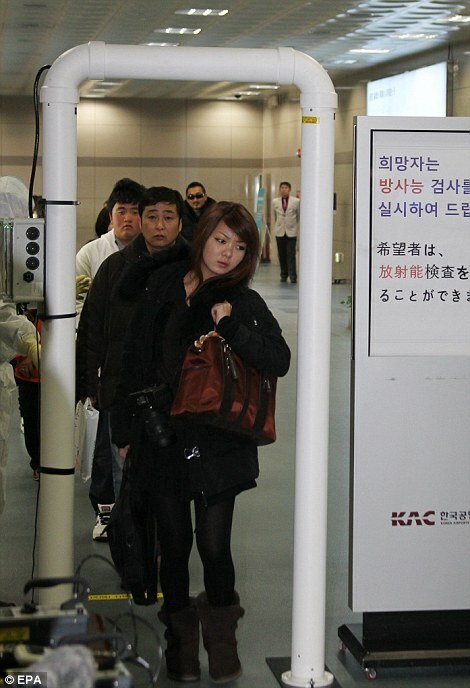 Two Foreign Office-ordered chartered flights, with almost 600 seats, begin their work today to bring Britons home. America, France and Australia are also advising nationals to move away from the plant. 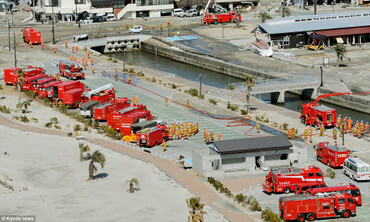 A week after the earthquake and tsunami, authorities are still struggling to bring it back from the brink of disaster. 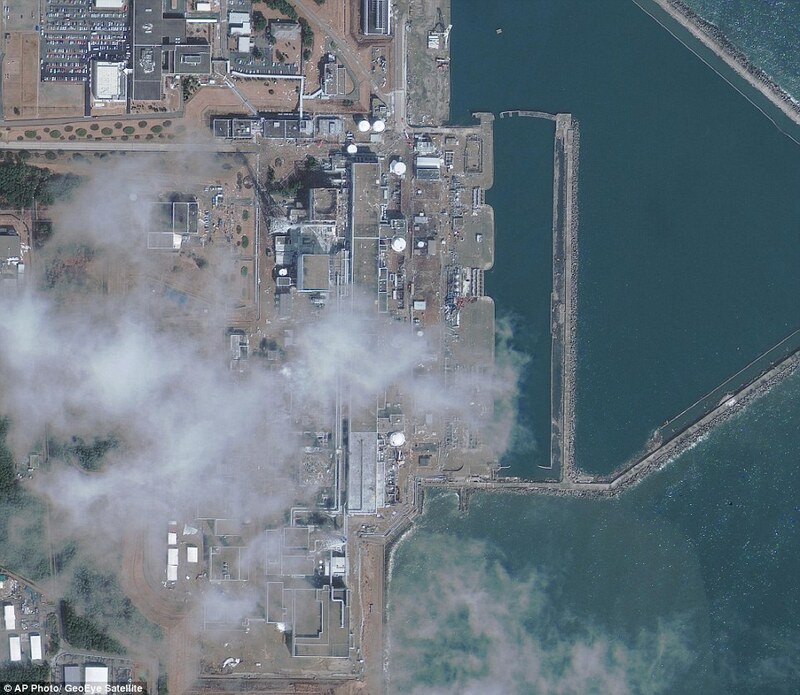 Four of six nuclear reactors at the site have been hit by explosions and fires which have sent clouds of low-level radiation into the air. 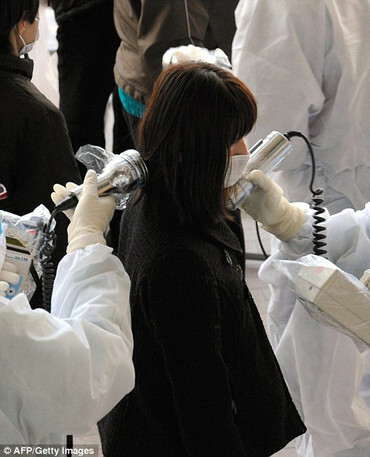 The team of exhausted workers battling to prevent meltdown at the site – dubbed the 'Fukushima Fifty' – are unable to approach the most badly damaged reactors because radiation levels are so high. Yesterday concern focused on two large tanks used to store spent nuclear fuel at Reactors 3 and 4. Hydrogen explosions blew the roofs off both buildings earlier this week, leaving the pools exposed to the elements. Water levels in the tanks have dropped dramatically in the last few days, possibly because of a leak caused by the earthquake. Waste in Reactor 3 is completely exposed to the air and is emitting alarming levels of radiation as it heats up. Unlike the other reactors which use uranium, Reactor 3 uses a mixture of uranium and plutonium. Plutonium, best known as an ingredient in nuclear weapons, is particularly dangerous if released into the environment. In the worst case scenario, exposed fuel will melt, triggering a chemical explosion that will send radioactive dust hundreds of yards into the air. Chinook helicopters flying at less than 300 feet dropped four loads of water over the wrecked building in the hope that some water would seep into the dried-out pool and cool the fuel. However, footage suggested much of the 2,000 gallons of water missed its target. Later, six fire engines and a water cannon tried to spray the building with 9,000 gallons of water from high pressure hoses. However, radiation levels within the plant rose from 3,700 millisieverts to 4,000 millisieverts an hour immediately afterwards. 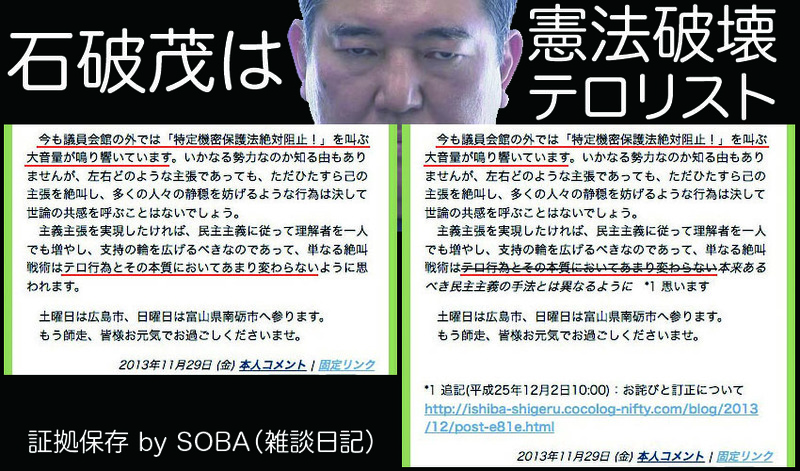 People exposed to such doses will suffer radiation sickness and many will die. 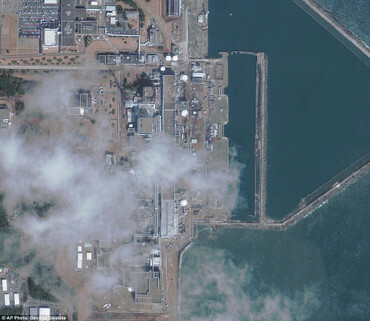 Today Tokyo Electric Power, which owns the plant, will try to restart the reactor's cooling systems after workers connected a half mile long power cable from the national grid to Reactor 2. 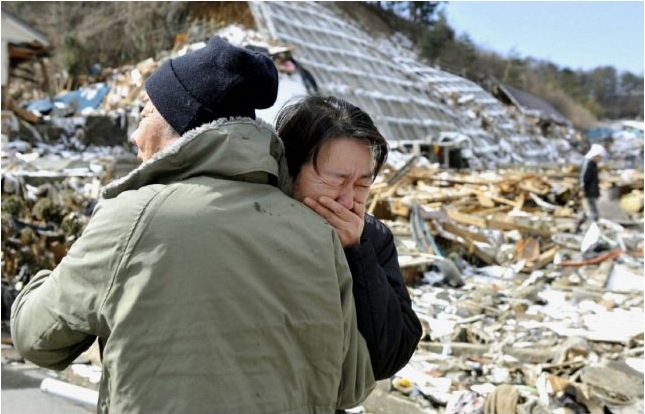 Last night 14,000 were confirmed dead or missing in Japan and 492,000 are homeless. There are 850,000 households in the north of the main island without electricity in freezing temperatures. Tokyo Electric Power Co. 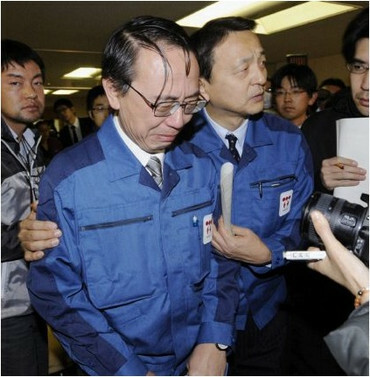 Managing Director Akio Komori, left, cries as he leaves after a press conference in Fukushima, March 18, 2011, a week after a tsunami triggered by a powerful earthquake devastated northeastern Japan. 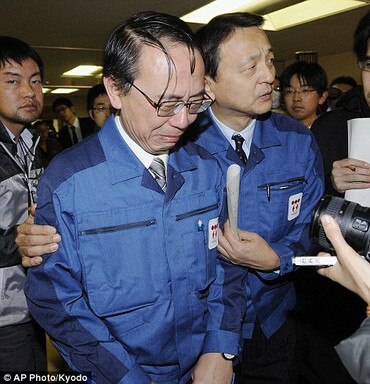 YAMAGATA, JAPAN—Japanese engineers conceded on Friday that burying a crippled nuclear plant in sand and concrete may be a last resort to prevent a catastrophic radiation release, the method used to seal huge leakages from Chernobyl in 1986. But they still hoped to solve the crisis by fixing a power cable to two reactors by Saturday to restart water pumps needed to cool overheating nuclear fuel rods. Workers also sprayed water on the No. 3 reactor, the most critical of the plant's six. It was the first time the facility operator had acknowledged burying the sprawling complex was possible, a sign that piecemeal actions such as dumping water from military helicopters or scrambling to restart cooling pumps may not work. 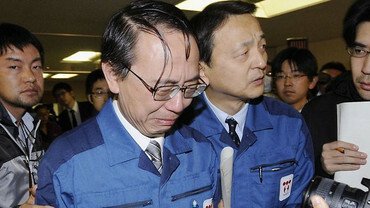 A woman cries after her mother's body was found in Onagawa, Miyagi prefecture March 18, 2011. The area was devastated by a magnitude 9.0 earthquake and tsunami on March 11. 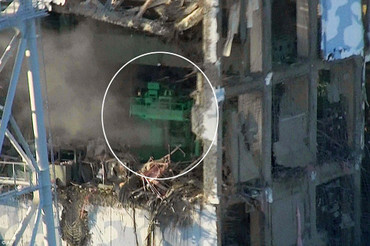 This handout image released from Tokyo Electric Power Co (TEPCO) on March 17, 2011 shows the damage to TEPCO's No.1 Fukushima nuclear power plant's third reactor. “It is not impossible to encase the reactors in concrete. But our priority right now is to try and cool them down first,” an official from the plant operator, Tokyo Electric Power Co, told a news conference. 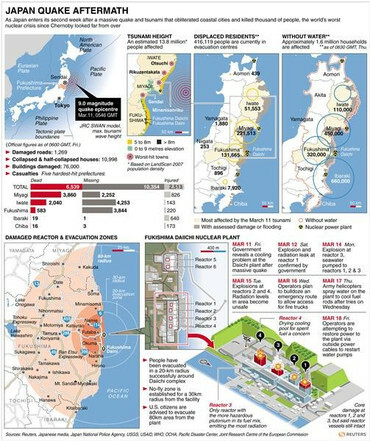 As Japan entered its second week after a 9.0-magnitude earthquake and 10-metre tsunami flattened coastal cities and killed thousands of people, the world's worst nuclear crisis since Chernobyl looked far from over. The nuclear disaster has triggered global alarm and reviews of safety at atomic power plants around the world. “This is something that will take some time to work through, possibly weeks, as you eventually remove the majority of the heat from the reactors and then the spent-fuel pools,” Gregory Jaczko, chairman of the U.S. Nuclear Regulatory Commission, told a news conference at the White House. 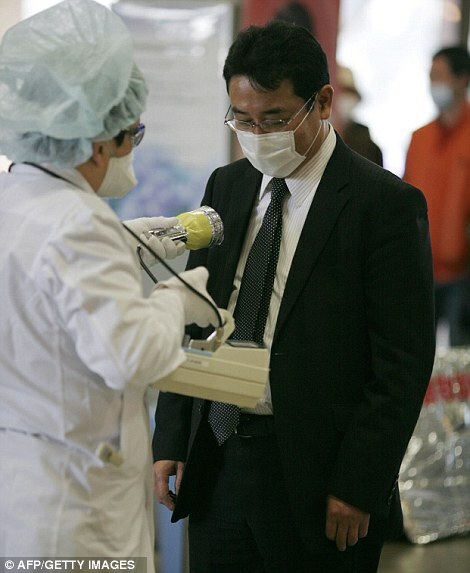 Millions of people in Tokyo continued to work from home, some fearing a blast of radioactive material from the complex 150 miles to the north, although the International Atomic Energy Agency said radiation levels in the capital were not harmful. That is little solace for about 300 nuclear plant workers toiling in the radioactive wreckage. 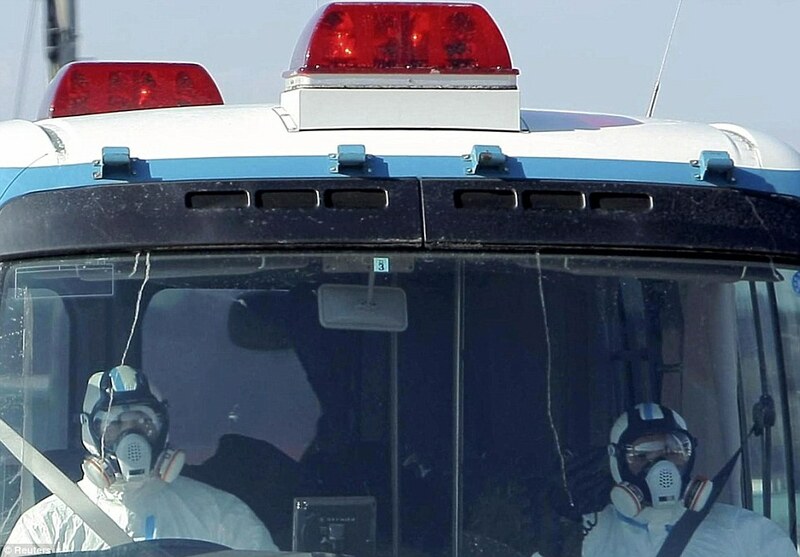 They are wearing masks, goggles and protective suits whose seams are sealed off with duct tape to prevent radioactive particles from creeping in. 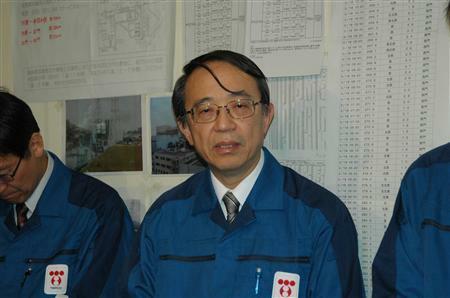 “My eyes well with tears at the thought of the work they are doing,” Kazuya Aoki, a safety official at Japan's Nuclear and Industrial Safety Agency, told Reuters. 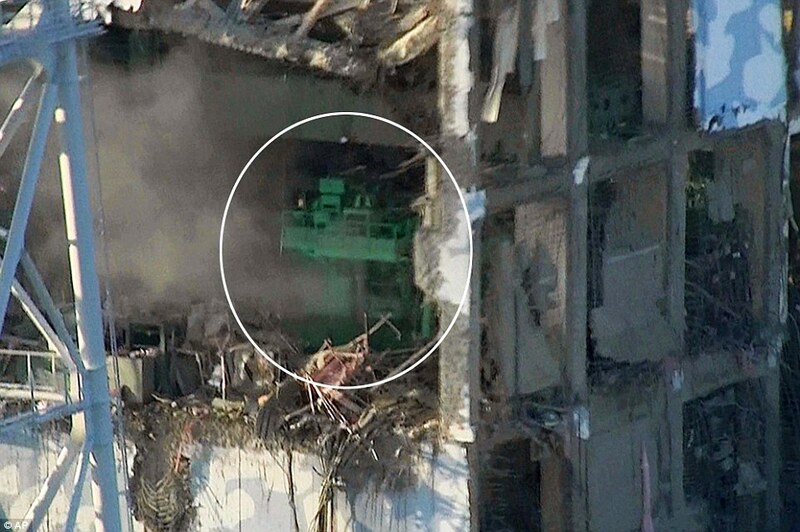 Even if engineers restore power at the plant, the pumps may be too damaged from the earthquake, tsunami or subsequent explosions to work. 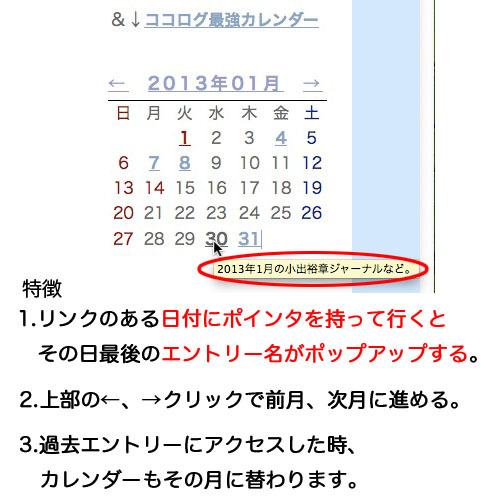 The first step is to restore electricity to pumps for reactors No. 1 and 2 by Saturday. Some experts said dumping water from helicopters to try to cool spent-fuel pools would have little impact. 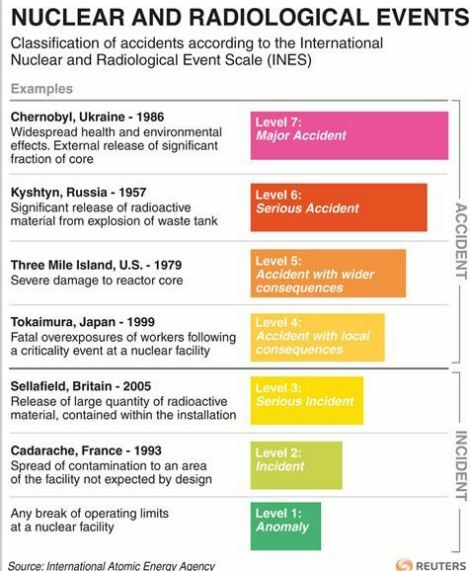 Japan raised the incident level at the crippled plant to 5 on a scale called INES to rank nuclear accidents, up from 4 on a 1-7 scale. That puts it on a par with the Three Mile Island accident in the United States in 1979, although some experts say it is more serious. 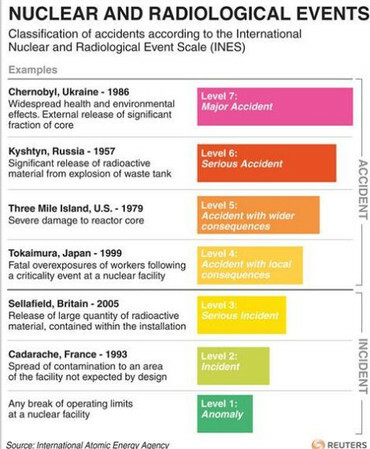 Chernobyl was a 7 on the INES scale. The plight of hundreds of thousands left homeless by the earthquake and tsunami worsened following a cold snap that brought heavy snow to worst-affected areas. Supplies of water, heating oil and fuel are low at evacuation centres, where many survivors wait bundled in blankets. Many elderly lack proper medical supplies. 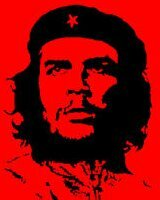 Food is often rationed. The government said on Friday it was considering moving some of the hundreds of thousands of evacuees to parts of the country unscathed by the devastation. Nearly 320,000 households in the north were still without electricity in near-freezing weather as of Friday afternoon, Tohuku Electric Power Co said, and the government said at least 1.6 million households lacked running water. The National Police Agency said on Friday it had confirmed 6,539 deaths from the quake and tsunami disaster, exceeding 6,434 who died after the Kobe earthquake in 1995. But 10,354 people are still missing. The government has told everyone living within 20 km of the plant to evacuate, and advised people within 30 km to stay indoors.